Liposuction, also known as “lipoplasty,” is a surgical procedure that involves removal of excess fat from areas of the body that are difficult to target with diet and exercise. This procedure restores a more slender, attractive physique. The accumulation of fat in the upper arms can lead to embarrassing fullness that is accentuated with every movement, making many feel self-conscious when wearing clothing that exposes this area. Liposuction can remove this excess fat to restore more slender arms with better definition. 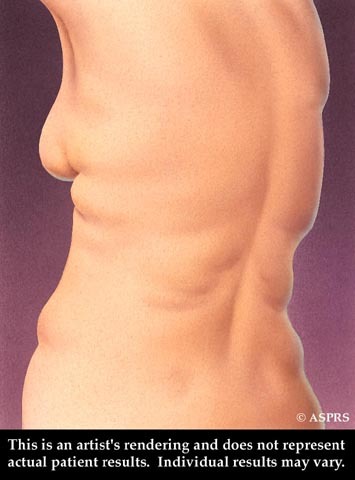 Sometimes fullness in the extremities is best treated by a combination of liposuction and skin excision techniques. The midsection is one of the most difficult areas to rid of stubborn fat. Liposuction can produce a slimmer waistline and flatter abdomen by permanently eliminating this resistant fat. Some patients will require skin excision to optimize their result. Fat deposits that gather in the buttocks can cause permanent sagging and loss of a pleasant buttock shape. Liposuction can restore a firmer, rounder contour to the buttocks to improve the overall appearance. Some patients will benefit from skin excision (thigh-buttock lift) to achieve the optimal result. Excess fat in the hips and thighs can cause unsightly “saddlebags” to develop, often resulting in discomfort and embarrassment. Liposuction can provide a slimmer appearance sculpting your hips and thighs to help make your body bikini-ready and boost your confidence. Excess fat accumulation in the legs can result in undesirable contours of knees and ankles causing many to hide their legs even during the warmer summer months. Liposuction can effectively rid these areas of unwanted fat and sculpt the legs into a thinner and more defined shape. Liposuction is one of the most rewarding procedures for patients who want to improve their physique, and the entire process from preparation to recovery is generally straight forward. 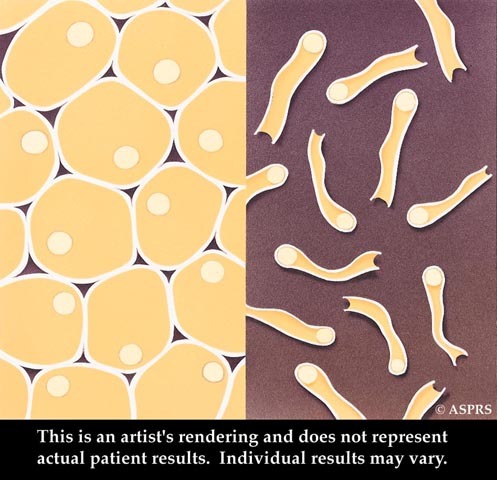 Fat cells, pictured at left, appear balloon-like. When ultrasonic energy is applied, the cell walls break down, allowing fat to flow out of each cell. Heathy, normal weight people with elastic skin and pockets of excess fat are good candidates for surgery. The cannula connected to the ultrasound generator is inserted to “liquify” the excess fat before it is removed with vacuum pressure. Have additional questions about the Liposuction procedure? Schedule a Consultation with Dr. Knowling for further information.